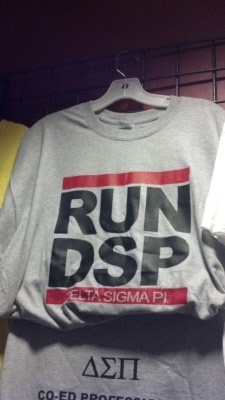 Welcome to the Delta Sigma Pi T-Shirt Store. 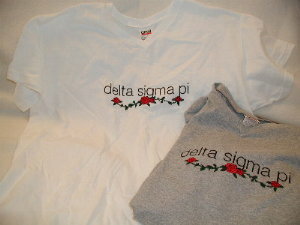 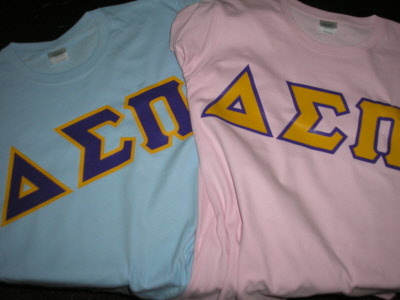 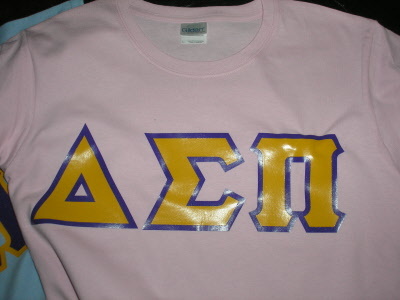 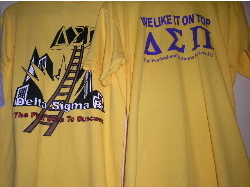 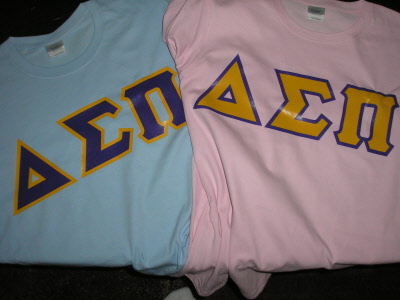 Mecca Delta Sigma Pi T-Shirt Designs are popular all over the world. 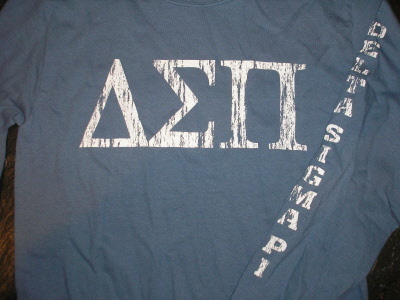 The front of the shirt has the Greek Letters in white. 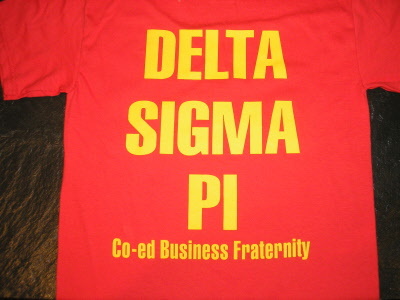 The back is the skull and cross bones "We Mean Business"
Let everyone on campus know that Delta Sigma Pi means Business. 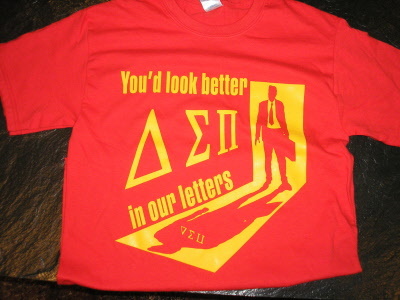 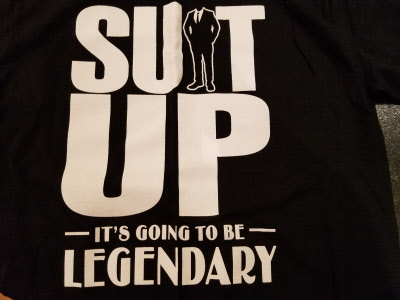 Another great addition to our T-shirt line. .
Great shirt for recruiting events. 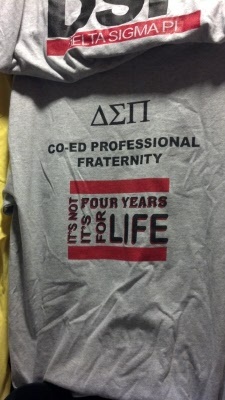 One of our only long sleeve silk screened t-shirts. 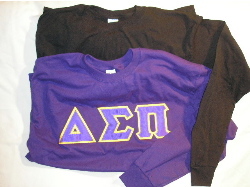 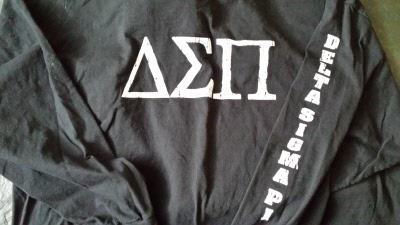 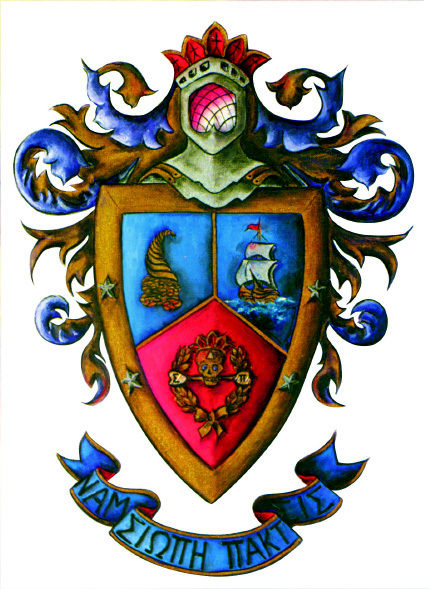 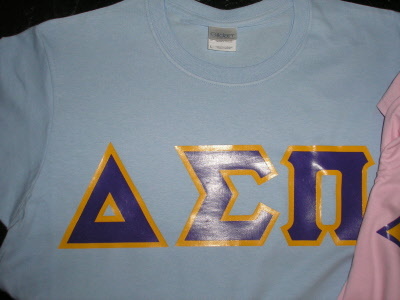 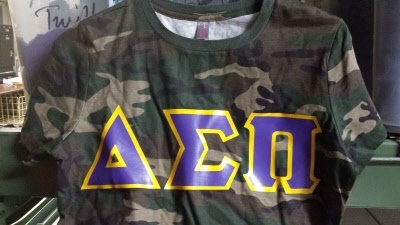 Imprint of greek letters on the front with DELTA SIGMA PI down the left sleeve. 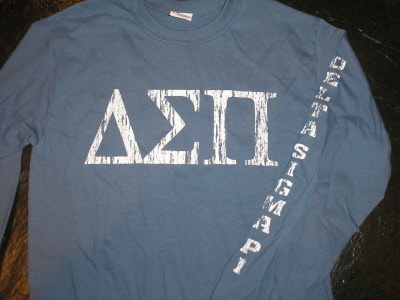 This shirt is available in Indigo Blue or Black. 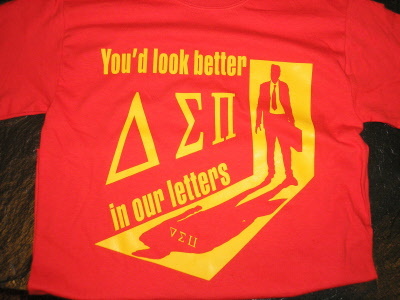 Are you a Turtle?Show off your membership in the turtle club with the Turtle T-Shirt. 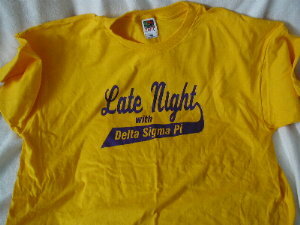 Late night with Delta Sigma Pi. 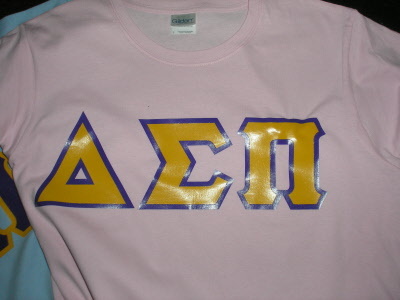 One color front and one color back T-Shirt only available in Gold with purple design imprint. 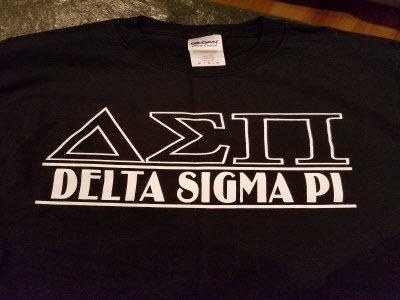 The back of the shirt lists the top ten reasons to join Delta Sigma Pi. 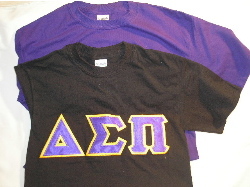 Athletic T-Shirt with one color full front print. 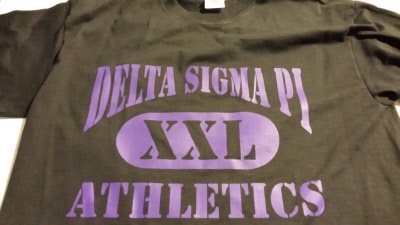 This inexpensive shirt is great for intramurals.